​Dr. 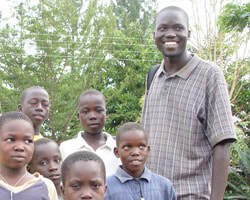 Fred, a young physician from Northern Uganda who grew up in the context of the North's civil war, co-founded TCII in 2004. As a child, he had the good fortune to obtain sponsorship to attend boarding school from foreign donors and subsequently gained admission to medical school. Now a practicing physician in Northern Uganda, Fred is acutely aware of how fortunate he was and is committed to creating the same opportunity he benefited so much from for other children from his home. This commitment inspired him to found TCII with his colleagues in the US and Canada. Dr. ​Kevin co-founded The Child is Innocent in 2004 with Dr. Fred when the two of them were both medical students and roommates. They wrote TCII's first mission statement sitting at their kitchen table together in Massachusetts. He is currently an attending Pediatric Emergency Medicine doctor at Massachusetts General Hospital/Harvard Medical School in Boston, MA and has research interests in helping to prepare medical trainees for work in low-income countries and adapting current pediatric cancer practice to these settings. ​Robbie first got involved with TCII as an overeager freshman at Harvard in 2006, and he's been enamored with the organization and this community ever since. He brings experience building a leadership academy for high school students in Washington, DC and currently works in NYC at Purpose, a home for 21st century movement-building. He's spent a number of summers on the ground in Gulu, researching post-conflict reconciliation practices and eating more than his fair share of matooke - any sensible vegan's favorite Ugandan meal. ​Edwine joined TCII in 2014 to serve as the finance director and treasurer. Currently, Edwine is the senior manager of economic evaluation in global business development for a large multinational. Prior to this role, Edwine was a project manager for various governmental programs. In addition, he has broad experience in strategy development and financial management & analysis. Edwine earned his MBA at Boston University, and holds a B.A. in Physics and B.S., M.S. degrees in Optics from the University of Rochester. 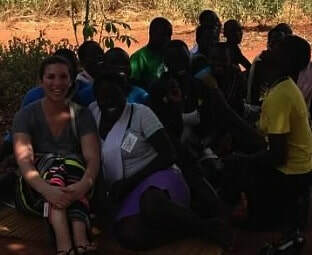 Originally from Miami, Edwine now lives in Denver, CO.
​Hilary joined the TCII team in January 2013, when she helped implement and facilitate the leadership training in Gulu Uganda for program participants. She continues to work actively to fundraise, improve program curriculum and strategies to better support TCII program students. 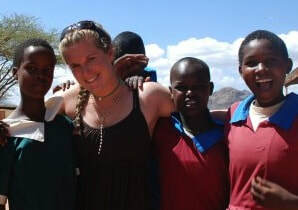 Hilary previously spent time volunteering in South Africa, Lesotho and teaching in China. 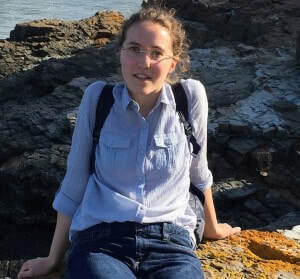 Hilary current works as a clinical social worker in first episode psychosis and mood disorders for young adults at a psychiatric hospital outside of Boston. ​One of TCII's newer members, Emily, who joined us in 2015, has relished her time working on the team. 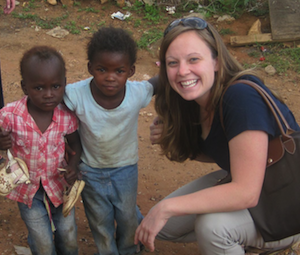 After her first trip to Uganda in 2009 and several years working in development, Emily was excited to find a way to continue working on education and student development in Uganda with TCII. She now runs the educational tracking program ensuring that all of TCII's sponsored students stay on track with their development. Emily is based out of Brussels where she works on external policymaking for the European Parliament. ​Mara began working with TCII in June 2013 where she traveled to Gulu, Uganda to implement curriculum that she developed for the 2014 Leadership Training. She quickly fell in love with the mission of TCII, the students and staff and continues to work with the organization to help fundraise, improve curriculum, and offer support in other areas as needed. While in graduate school Mara volunteered in South Africa and Romania. She is currently a clinical social worker in the Boston area. ​Jana joined TCII in early 2016 to help with sponsor communication coordination and other activities as needed. She studied business and now works in finance in Boston, MA, and she wanted to volunteer at a place with a social mission as a way to give back. She was drawn to TCII after hearing about the organization's inception and mission - her parents instilled in her a deep appreciation of the value of education, and she is thrilled to be part of the team's vision to empower kids by supporting them through school. ​Omar, one of the originals, has been involved since TCII's beginnings back in 2004 when he was a graduate student doing fieldwork across the border in Rwanda; he first saw the situation in northern Uganda for himself during one of the peaks of the conflict. Now he's grown up he teaches at the London School of Economics where he's an Assistant Professor specializing in the study of sub-Saharan Africa and violent conflict. ​Jesse began working with TCII in February 2013. 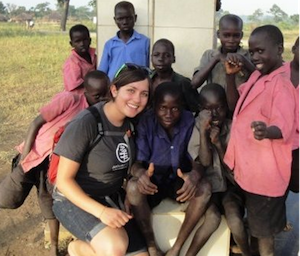 She works to locate volunteers to travel to Uganda, as well as volunteers, who can assist from the US. 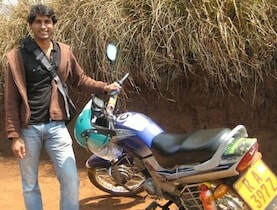 Jesse has spent time volunteering in Kenya and Tanzania. She currently is working on her nursing degree, and looks forward to combining the skills she obtained during her MPH with her nursing skills to improve health outcomes for underserved populations, both domestically and internationally. James Sibelle has spent over a decade working with youth in wilderness-based programs, outdoor education, and traditional summer camp settings. He brought his experience to The Child is Innocent for the first time in 2016 helping direct the leadership training and has subsequently developed our signature peer-based Leadership Training curriculum. James currently resides in Vermont where he runs, hikes, paddles, and wanders.